The indigenous people of Unalaska are the Unangan (commonly known as Aleuts). Archaeologists have found evidence that people have lived on the Aleutian Islands for at least 9,000 years. 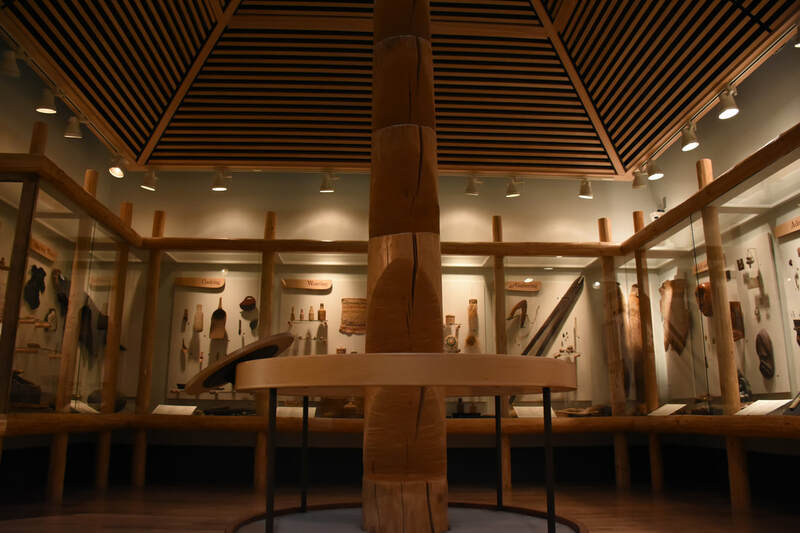 For more information on the cultural history of Unalaska, please visit The Museum of the Aleutians. MOTA opened its doors in 1999 with the mission to to collect, preserve, and share the rich cultural legacy of the Aleutian Islands Region. 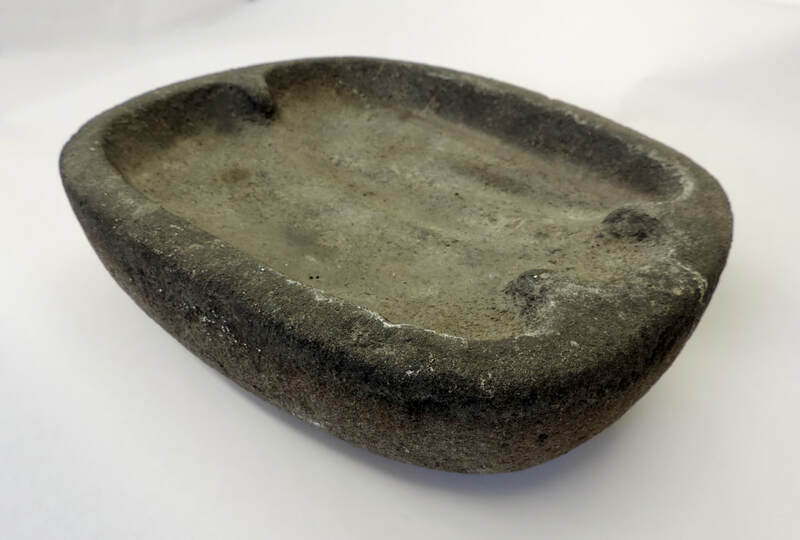 The museum's diverse collections include archaeological material that documents 9000 years of human presence in the region, artifacts from the Russian colonial period, photos and materials from the early American era, and military items and photographs from WWII in the Aleutians. 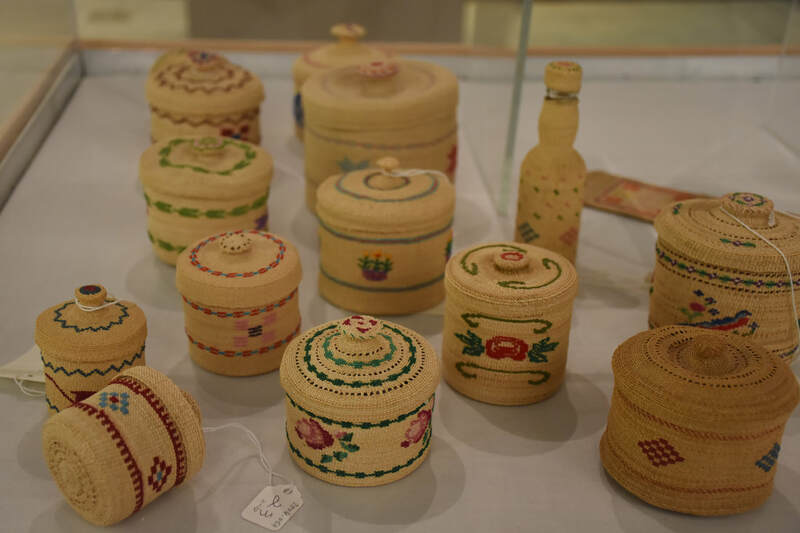 Many of these items are on display in MOTA’s recently remodeled permanent gallery and Special Collections Room, while the changing gallery hosts a range of temporary exhibits. MOTA and visiting archaealogists continue to excavate and document the rich history of the region. For more information visit the MOTA website at www.aleutians.org/ or call 907-581-5150. 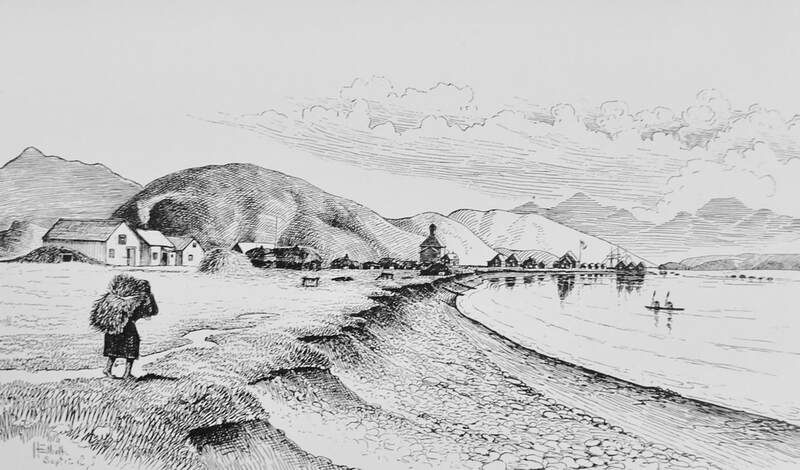 Top drawing: English Bay on Unalaska Island around 1778. Drawing by John Webber, who was part of Captain Cook's voyage of exploration. Top photo: Pre-WWII view of Amaknak Island from a point on Ballyhoo, courtesty of MOTA. There are at least 25 known prehistoric village sites within a 2-mile radius of the current airport. Photo left: 2017 community archaeology project at Summer Bay, pictured are visiting researchers along with students from Camp Qungaayax, the annual summer culture camp. Photo above: O. Patricia Lekanoff-Gregory teaching traditional bentwood hat-making to students at Camp Qungaayax. 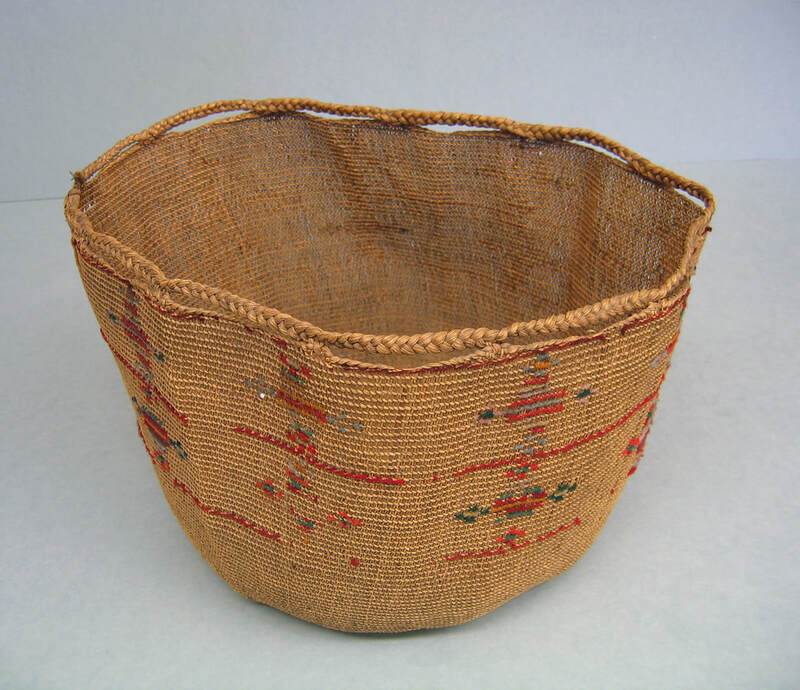 Below: Small handwoven traditional baskets in the MOTA collection. Below: Interior shot from MOTA, exhibition room in shape evoking early dwellings known as barabara. Drawings by Henry W. Elliot, late 1800s. Below: View toward Unalaska village.